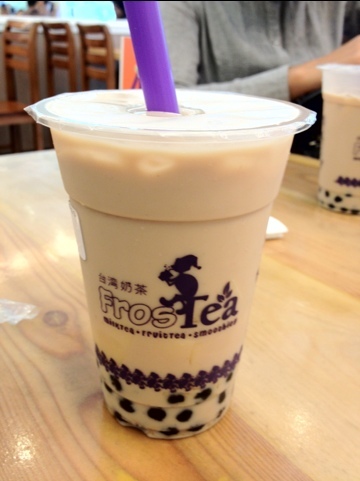 Another new milk tea place to try – Fros+Tea. A week ago, a few friends and I decided to try Fros+tea which was located across St. Lukes and St. Joseph school along E. Rodriguez Avenue. I ordered a combo meal which was Php140.00. 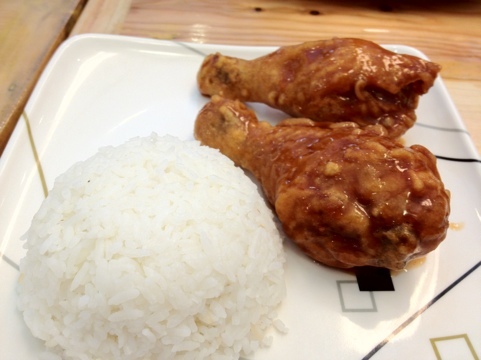 It consisted of 2 thigh chicken parts, rice and their regular milk tea. It was sulit! The place was a cool hung-out spot for students across the various universities. Saw that there were a lot of take-out orders also from St. Luke’s Hospital. 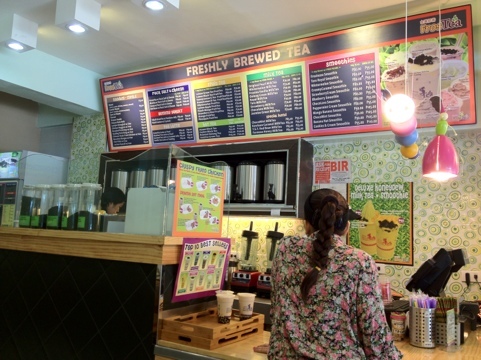 Do you think the milk tea craze will last? You think it will be as strong as Starbucks? Or will it fizzle out like the powdered drinks and the youghurts?